Stretches shoes in the tight spots where they grab the most. 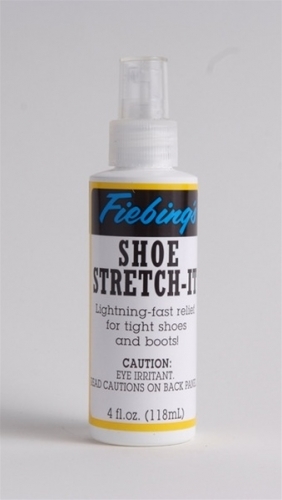 Expands treated areas without weakening the leather. Good for use on all leather, suede or nubuck shoes. Completely safe for application while show is worn. Will not harm skin or stockings.